It’s been a busy year in the Windsor Essex culinary scene! WindsorEats has been working hard at expanding the profile of culinary tourism in our region. We want to give you an update of of a few of the things we were up to in 2011. In June we assisted in organizing a media familiarization tour that resulted in articles on Reader’s Digest, the Ontario Culinary Tourism Alliance website, City Bites Magazine in Toronto and more. Our Wine Trail Rides had another very successful year visiting our Lake Erie North Shore wineries generating approximately $8,000 – $10,000 in spending per ride into our local economy. In November, WindsorEats assisted in organizing familiarization tours for the Ontario Motor Coach Association Conference that introduced delegates (people who book tours for a living) to our wine region, local restaurants and festival and events. WindsorEats also assisted in organizing a Dine Around which resulted in over 120 reservations to our members on a Tuesday night. In November, 2011 WindsorEats was invited to write a blog for The Windsor Star. This has provided us the opportunity to talk about local food, dining, wineries and culinary initiatives to an even wider audience and the initial reaction has been amazing! Our restaurant weeks for Windsor-Essex, Winter Bites and Eat Your City, continue to grow. Our website was used over 550,000 times in 2011. That was a 9% increase over 2010. We’re expecting the percentage growth in 2012 to double! We were 1 of 3 finalists for the 2011 Ontario Culinary Tourism Leadership Award. The award recognizes those who have made an outstanding contribution to the promotion of local food and drink in Ontario, demonstrated leadership, professionalism, and integrity in promoting Culinary Tourism in Ontario, shown dedication to customer service, innovation, creativity, and regularly goes above and beyond to contribute to the success of the event, service or business for which they represent. WindsorEats was also nominated in the Chamber of Commerce Business Excellence Awards for their Taste of Windsor Essex category. This award recognizes a business that has demonstrated excellence in the areas of hospitality and tourism, and has played a vital role in the growth of their sector. The winner will be announced in April 2012. A complete revamp of our website that will enhance the ease of use and interactivity for our users. 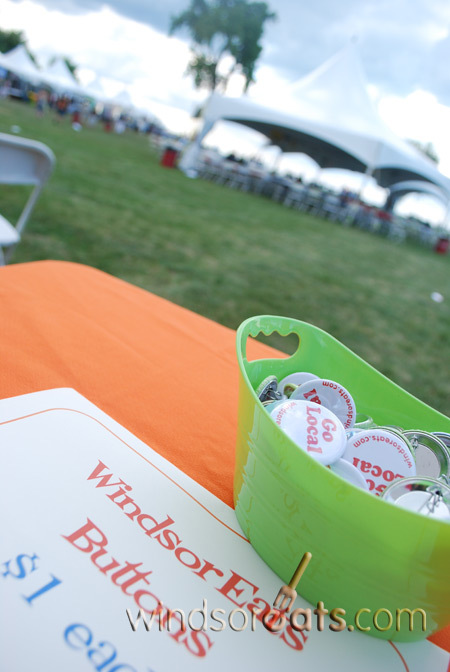 WindsorEats will be working with a number of conferences coming to Windsor-Essex in 2012, where we will be promoting our culinary scene and sending delegates and their families out to dine in Windsor-Essex. Culinary Weeks: Winter Bites 2012 (Jan. 16-22) is expected to be bigger and better than ever. Marketing has already begun and people are flocking to our site to see who is participating and making their plans for the week. If you`re a restaurant owner it’s not too late to sign up and participate, just contact us ASAP. Bikes & Beers city cycling tour is making a return in 2012. We are once again working with The Beer Store to help raise funds and awareness for Returns for Leukemia. We will be working with local and provincial organizations to expand our presence across the province. As always, we will continue to represent restaurants, wineries and culinary establishments in Windsor Essex through community events. 2012 is going to be a great year and as we continue to expand culinary tourism in our region, we hope that you continue to be a part of it.